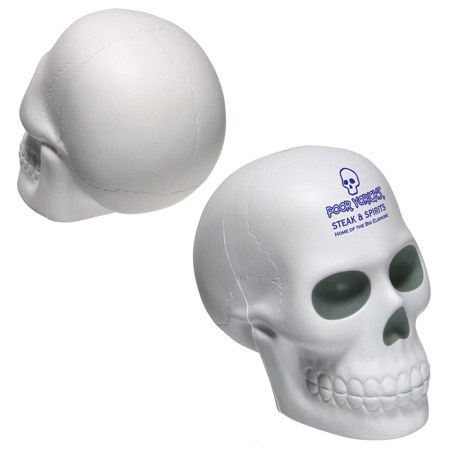 Skull Stress Ball for your next promotion to spook it up. Great for Halloween parties, it is a no brainer, or any ghostly giveaway. A custom stress ball or stress reliever imprinted with your logo or message. These work great as promotional giveaways, keeping your logo right under their finger tips. When things get stressful, nothing is more relaxing than squeezing a custom printed promotional stress reliever, or a logo stress ball. 3.75" x 2.25" x 3.75"
Bulk / 26 lbs / 200 pcs. / 22x15x14 box. Imprint Area: 1" x 0.625"